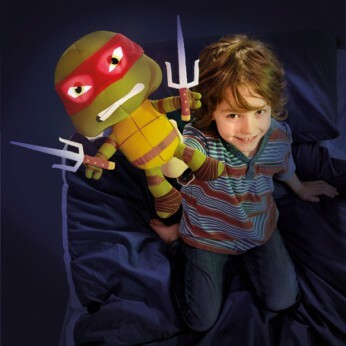 The new Raphael Go Glow Pal is the coolest companion for all budding Ninjas. Sporting light up eyes that keep shining for 15 minutes, and twin Sai on his hands, this fun plush toy will keep Turtles fans feeling safely tucked up at bedtime every night. This toy costs approximately £21.99 (for the latest and best prices make sure you check our retailer list for the Turtles Raphel Go Glow Pal above). In our review of Turtles Raphel Go Glow Pal we classed it as being suitable for ages 4 years, 5 years, 6 years, 7 years, 8 years but recommend you check the manufacturer specific advice before purchasing.